Dindin had been asking me for rollerblades for several months now. I am not sure what among her videos influenced her, but she’s kind of consistent about it. As always she is not demanding about it, but it came up many times during our conversations. But I never really gave it much thought. After all, it is kind of expensive. You do not only buy the rollerblades, you will have to buy the protective gear such as helmet, knee and elbow pads that will cushion the falls and bumps as she tries to control it. Well, thanks to her Ninay Lisa, 3chiak Alvin and 3chim Debby, and SM City Bacolod, we now have a total of P2,000 worth of spending money at SM. 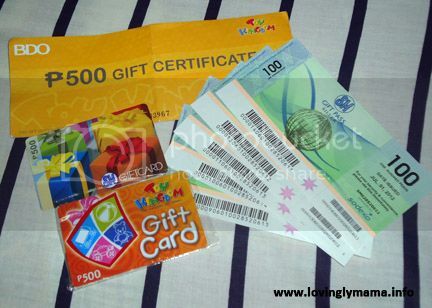 Actually, P1000 is for Toy Kingdom and the other P1000 can be used anywhere in SM (except the tenants). Woot! That would be more than enough for her to get started on rollerblading! Ohh WOW, She will have so much fun, i loved rollerblading when I was little. The only thing i can suggest is get her wrists guards! until she learns to fall properly she could hurt herself pretty bad.